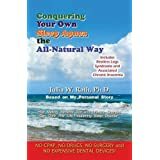 Dr. Julia W. Rath is now being featured on Lybrary.com! Since May 2015, Dr. Rath has become a featured author on this website–known all across the world! This show was taped in March 2015 and aired throughout the month of April on many suburban Chicago public access stations. Be sure to click “full screen” after getting onto YouTube. This interview took place in anticipation of her talk on Tuesday, October 14, 2014, at 7:00 p.m., at the Skokie Public Library, Skokie, Illinois U.S.A. The interview/review is the second article on the page.